Eggs Benedict is my all-time favorite breakfast. I first learned how to make it when I was 10 years old. 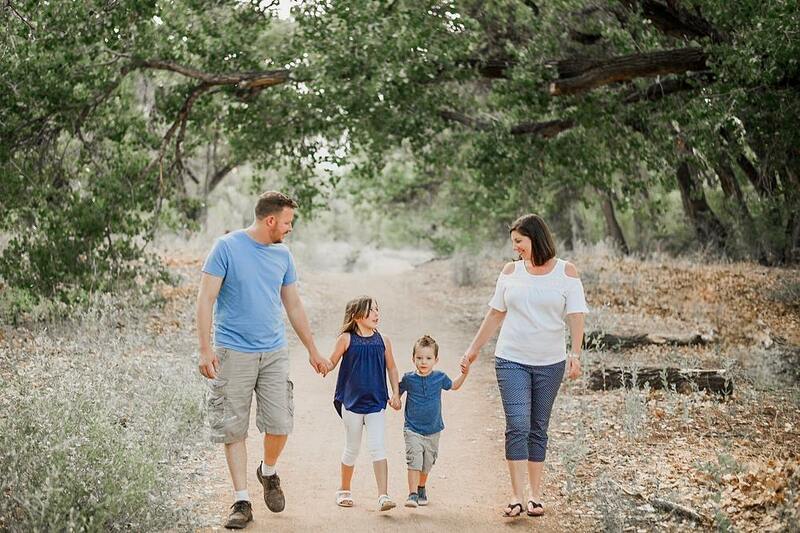 My family was on vacation in a small mountain town. One of the locals showed us how to assemble this savory dish. Since then, I make it several times a year, but always make sure to serve it on Christmas morning. It is sort of a tradition now! Recently, I decided to create a variation of eggs benedict by giving it a New Mexican kick. Green Chile Eggs Benedict! 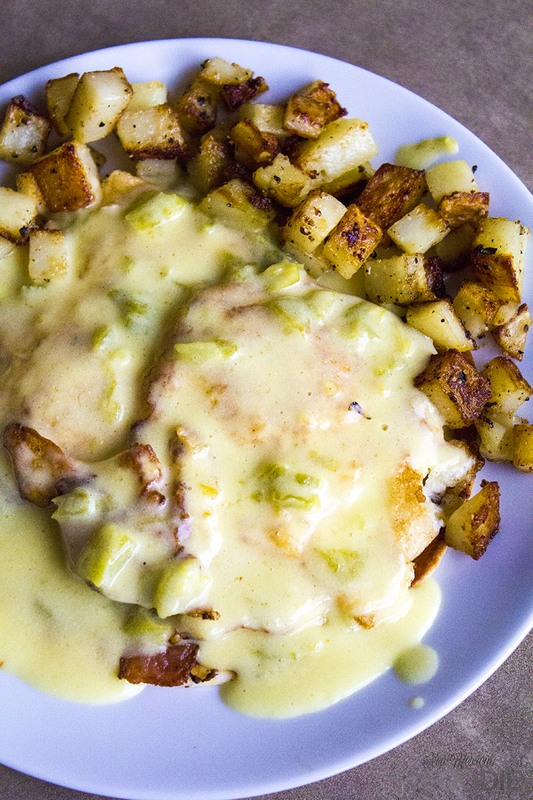 My spin with these green chile eggs benedict is pretty simple. The classic eggs benedict layers a toasted english muffin, followed by canadian bacon, a poached egg, and creamy hollandaise sauce. I opted to lightly brown a tortilla, top it with fresh crumbled bacon, a fried egg, and a green chile hollandiase sauce. And, oooh man. 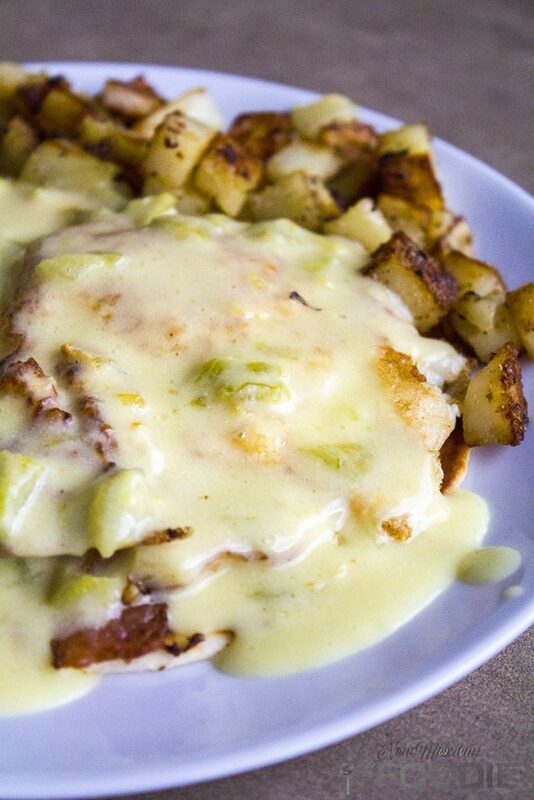 Oooh man… this hollandaise sauce is amazing. I am not entirely sure why all hollandaise sauce isn’t made with green chile, but I have very strong feelings that it should be. I mean, just look at those meaty chunks of vibrant green. Doesn’t it just look like it belongs in the sauce? I’m telling you, this is a meal that will transform eggs benedict for you. If you haven’t ever been a fan of (or tried) eggs benedict, you are in for a treat! 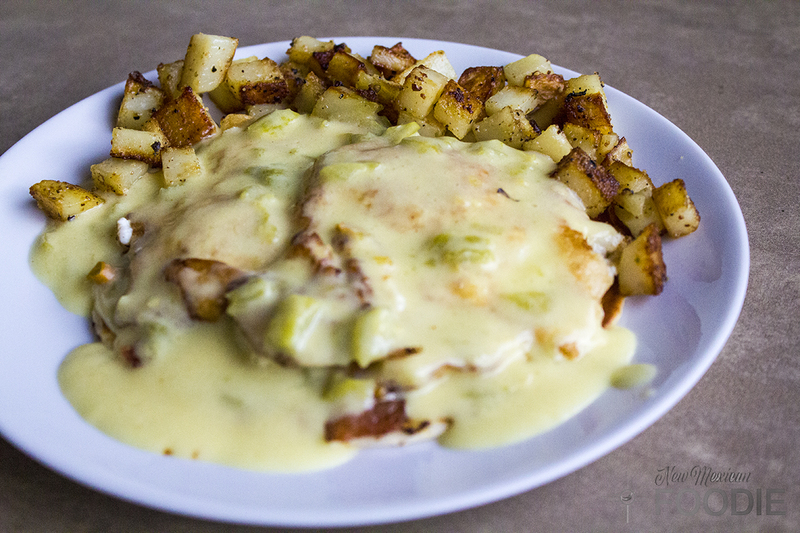 My green chile eggs benedict paired perfectly with pan-fried potatoes, tossed with freshly diced rosemary. It is a hearty, soul-satisfying breakfast of champions. You can conquer the world (or at least a good chunk of your to-do list) after indulging in this tasty breakfast! Alright, here is the recipe! Affiliate links included for convenience, and to help support this blog. Cook bacon over medium heat, until crisp. Remove from pan, and set aside. Leave 1 tbsp of bacon grease in the pan, and fry the eggs, two at a time, until desired doneness. Set aside. Crisp flour tortillas in the same pan, adding a little bacon grease if needed. Add diced green chile to prepared hollandaise sauce, stirring to combine. Layer a flour tortilla on a plate, followed by 2 pieces of crumbled bacon, one fried egg, and 1/4 - 1/2 cup hollandaise sauce (some like it more saucy, some like it less!). Enjoy! Is eggs benedict one of your favorite breakfast dishes? Are there any other favorite breakfast options you love paired with green chile? Share your thoughts in the comments below!